The Detech Relic Striker is a very deep, stable VLF relic detector. It's designed for searching big objects buried deep in the ground. The low 4.8 kHz frequency gives the opportunity to work on high mineralized soil, with better results then other VLF detectors. 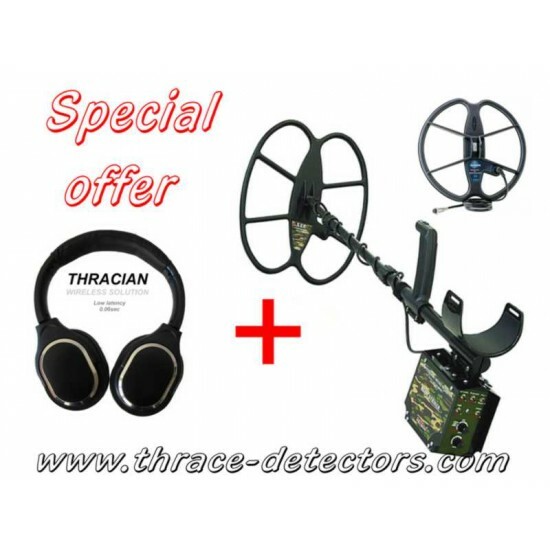 Many professional treasure hunters chose the VLF low frequency then PI metal detectors, because of the difficulties to detect nonferrous metals in depth. The detector is equipped with waterproof and shock-resistant search coil and may be used at any temperature (with UV - protection). Its size of 18x15 inch (38cm x 46cm) makes posible to cover more space and to reach a depth up to 1.5 m for big treasures. Result unreachable for many PI detectors.